First off, congratulations to the Ultimate Fighter 8 winners Efrain Escudero and Ryan Bader! Efrain dominated Phillipe. I was honestly shoscked. The difference was Efrain’s wrestling. He continually went under Phillipe’s punches and got the take down at will. Efrain is a good kid who deserved the win. He has a bright future in the UFC. Efrain had the toughest road to the finals by submitting Shane Nelson and Junie Browning. Phillipe Nover will also have a good career in the UFC. He will be back. While it may be admried that he has been loyal to his gym, Team Insight for many years, I think he could use stints witht the likes of Shawm Thompkins at Xtreme Couture and Greg Jackson. Ryan Bader needed ones round to KO Vinny Magalhes. Bader threw one right that clipped Vinny. Quite honestly it looked like it was blocked, but Vinny fell and ate 3 or 4 hammer fists before turtling up and the fight being stopped. Bader did what his friend, teamate and roomate, C.B. Dolloway could not and that is win The Ultimate Fighter. Vinny needs work on striking and on taking a punch. IF he cac do that he can be a force in the octagon. Anthony Johnson had another highlight reel KO of Kevin Burns. I feel justice was served. Wilson Gouveia was just in another league than Jason MacDonald. Wilson Gouveia could be a real force at 185 lbs…that is if he can make the cut. Junie Browning was very, very impressive. I was shocked by how good he looked. His triking looked crisp. His footwork and head movement were great. His grappling and submissions game was top notch. UFC 155 lb division watch out for Junie Browning. No, really! By the way, how about the classy move of his to apologize to Coach Mir and the fans for his antics on the show. Good move Junie. Stay out of trouble and the sky is the limit. Krzysztof Soszynski dominated Shane Primm. Then he pulled off a sweet kimura which earned him $25,000 and submission of the night. These two fighters have a huge ceiling as far as talent goes. In fact, I think either of these guys could be contenders eventually. I would put both of them up against many UFC lightweights right now. Escudero really impressed on the show. I saw many people picking him to go far in forums, but I was a doubter. In fact when he was matched against Shane Nelson I thought he was done. When he was matched against Junie I thought he was done. Efrain has greta wrestling and great submissions. That tirangle choke on Nelson was sick. We may not really know how good Efrain is because he had the tougher road to the finals. It is really possible that he beat two of the best guys in the house. Phillipe has to beware of Efrain’s submissions. Dana White has been in this business a while and like him or not he knows MMA and recognizes talent. Dana raved over Phillipe. 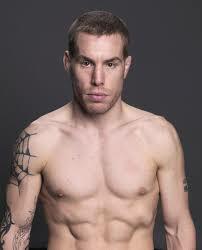 In fact, he says that Nover may be the most talented kids ever on The Ultimate Fighter. That is saying something considering TUF has produced names like Forrest Griffin, Diego Sanchez, Rashad Evans, Joe Stevenson, Kenny Florian, Michael Bisping, Mike Swick, Josh Koscheck, Matt Hamill, Stephan Bonnar, Nate Diaz, Gray Maynard, etc. Nover looks to have a complete skill set. His striking and muay thai seems to be unrivaled at 155 lbs. He showed slick submission skills. I would not keel over with a heart attack if Efrain won, but Nover has to be the favorite and that is why I am picking Phillipe to win by submission in round 1. However, both of these guys have bright futures in the UFC. If someone would have told me this would have beent he fight for the finals I would not have doubted it, but I would have picked Bader to dominate. However, after the semi-finals my opinion has changed slightly. Bader won, won easily, but did not look great in his lay n’ pray victory. Vinny looked very good against fellow Team Quester Krzystof Sosynski. Vinny has fantastic ground skills. Some have said he is one of the best in the world. I agree. Bader could be in trouble. Bader has a solid wrestling pedigree. He will look to use his wrestling to keep the fight standing. Vinny insists that he has improved his striking and will win by knockout. I don’t see that happening. Vinny seems timid and reluctant with striking and does not like getting hit. Bader has KO power. I would be shocked if Vinny’s chin is not tested. That will be the test. If the fight goes to the ground it gets interesting. Can Vinny work a submission while being punched? Can Bader avoid submissions? I worry that this finale will end just like the finale with his teamate C.B. Dolloway. Anyways, I pick Bader by decision, but watch out for submissions. This is a hard fight to pick. MacDonald is a very good and so is Gouveia. Wilson did well at light heavyweight, but dropped to 185 lbs following his loss to Goran Reljic. Gouveia is a good jiu jitsu player, but MacDonal showed against Demian Maia that he has decent submission defense. I think MacDonald is better all around. I think MacDonald will beware of Gouviea’s submissions and will win by decision. By the way, I am wavering on this fight prediction. This is a re-match of an earlier fight that ended in controversy. Burns poked Johnson numerous times in the eye and it led to Johnson falling down due to an eye poke and Burns being declared the winner by TKO. Horrible decision. However, the re-match should be good. Burns is a godo fighter and he did not want the fight to end that way. he says that he was forced to strike with an open hand because of a broken hand. Howeverm he says it is fixed. Johnson is looking for revenge. We saw in the Johnson vs. Tommy Speer fight what Johnson is capable of. Don’t look for him to walk through Burns. Burns has solid all around. He submitted Roan Carneiro in his UFC debut. I still think Johnson wins this fight by TKO in round 2. Dave Kaplan and Junie Browning are both jokes. Frank Mir was all on the Kaplan bandwagon. He looked terrible against Phillipe. Was Phillipe that good or is Kaplan that bad? We just don’t know with Junie. Has he gotten his act together? Is he going to be mentally prepared for this? Physically, Junie is the better fighter. Mentally, I don’t know. Anyways, from what I hear Junie is sober. Junie is training at Xtreme Couture and is living with Shwan Thompkins. I think that has to help. I predict that Junie comes out and impresses. I predict that Junie wins by TKO in round 1. This event is a special bonus for fight fans. Also, it is a stand up gesture by the UFC. Say what you want about Dana White and the UFC, but no other fight organizations show the benevolence that the UFC does. The goal of these fights is to raise money for the Intrepid Fallen heroes Fund. Click here to find out more or to make donations. Not only is it a good cause, but there are several good fights. We will see stars such as Josh Ksocheck, Mike Swick, Matt Wiman, Jim Miller, WEC champ Steve Cantwell, and Luigi Fiorvanti. Tune in to SPIKE on Wednesday Night to watch this event. Some good fights on tap here. The biggest enw may be the return of legend, Pat Miletich against Thomas Denny. Also in action will be former IFL Heavyweight champ Ben Rothwell, rising Heavyweight star Mike Russow and several other notable fighters. This boasts a solid main event between two heavyweight legends in Monson and Rodriquez. The big news will be the debut of WWE star Bobby Lashley. The question will be can he do what Lesnar has done? I do not know of another TUF finale that I have been so excited about. This season has all the 16 cast members fighting on this card. Two exciting finals and two exciting bouts of non TUF cast members in Jason MacDonald vs. Wilson Gouveia and a re-match between Kevin Burns and Anthony Johnson. Don’t forget tonight to watch WEC 37: Torres vs. Tapia live on VERSUS at 8:00 P.M.
Also, following WEC 37 turn to SPIKE to watch the final two episodes of the Ultimate Fighter Season 8. There will be four fights aired, plus the potential to see Junie kicked off. The light heavyweight fights will be Ryan Bader vs. Eliot Marshall and Krzysztof Soszynski Sosynski vs. Vinny Magalhes. The lightweight scraps will be Philippe Nover vs. George Roop and Junie Briowning vs. Efrain Escudero. Take a minute to vote on these poll questions.